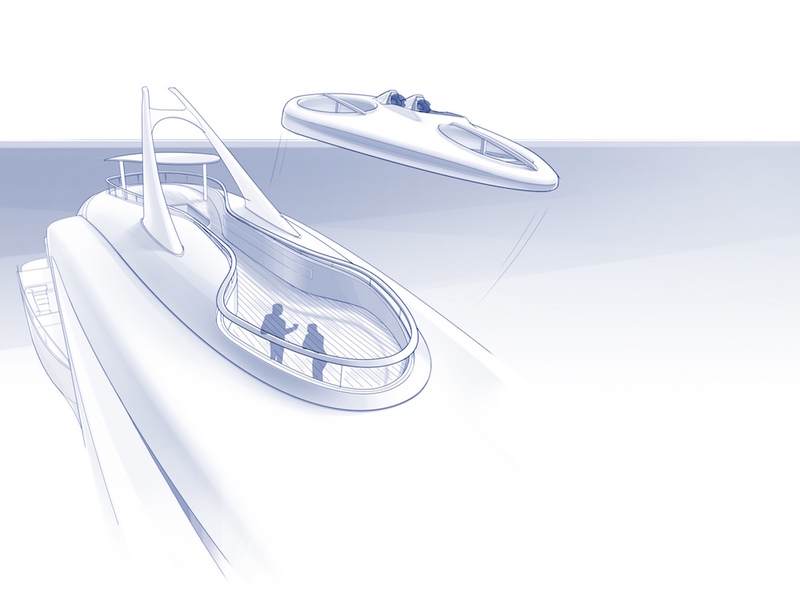 Feadship has marked the tenth anniversary of the Feadship Future Concept with its most audacious blueprint for inspiration to date. Unveiled at the Monaco Yacht Show using a yacht model and an augmented reality experience, the 2016 FFC Choice offers a wealth of opportunities for autonomous living on and off board. These include two co-propulsion tenders, a detachable beach house, a drone and a motion compensated pool. 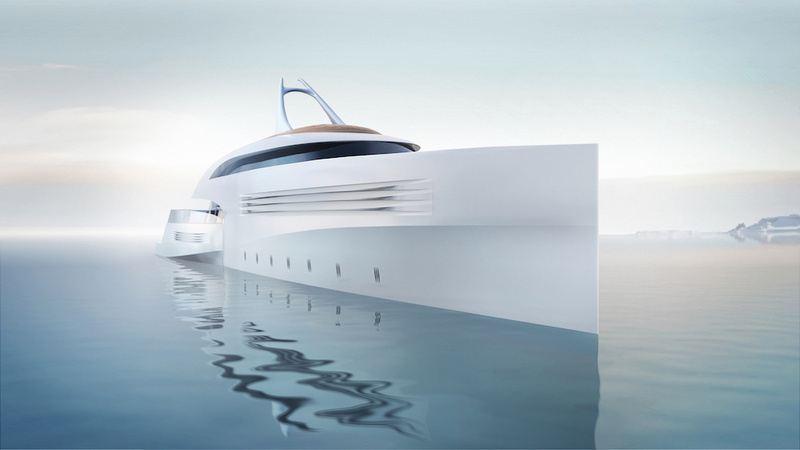 A new wave of independence is further stimulated by the introduction of the revolutionary Feadship Independent Control System (FICS). 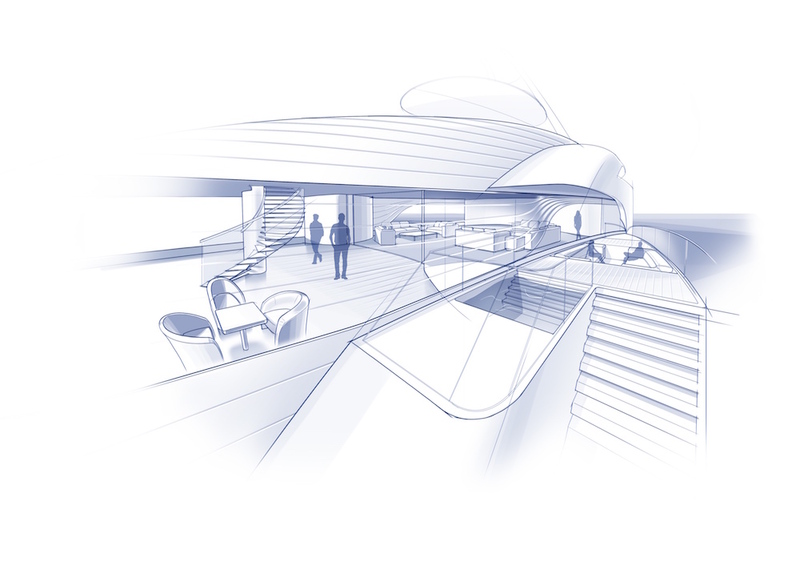 The 2016 Feadship Future Concept takes all these areas into account – and then raises thebar further still. “The essence of our thinking on Choice is recognition that the ability to transform a yacht while underway is becoming ever-more important to owners,” explains. Choice’s design rests on a number of key notions. Firstly, the primary propulsion sources are located in the 24.50-metre tenders either side of the yacht. Thanks to their faster speed and reduced draught compared to the mothership, the option to use these tenders significantly increases flexibility of operation. Meanwhile, the mothership has its own electric propulsion package, charged by the tenders while docked. This arrangement allows for the type of slow steaming operation adopted by large cargo vessels. In addition to silent anchoring, the mothership is also whisper-quiet when steaming along at cruising speed. When docking, Choice and the tenders are on the same wavelength literally and metaphorically, manoeuvring into the ideal position for a comfortable connection. 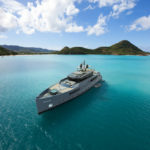 Once in place, the tenders serve as a supplementary boarding area and swimming platform, offering an impressive entrance to the main deck lounge plus two extra Jacuzzis. They also increase the beam of the boat by 6.50 metres, offering wide side decks with cosy seating. There are other ways to leave the mothership, including a drone nestled at the top of the yacht and an amphibious beach house apartment. While two guests spend time – or even overnight – on a nearby beach, the aft end of the mothership transforms into a private sandy beach. Uncouple the tenders and the sides of the beach club offer safe water access for swimming or scuba diving, and a splendid spot for waterfront dining. 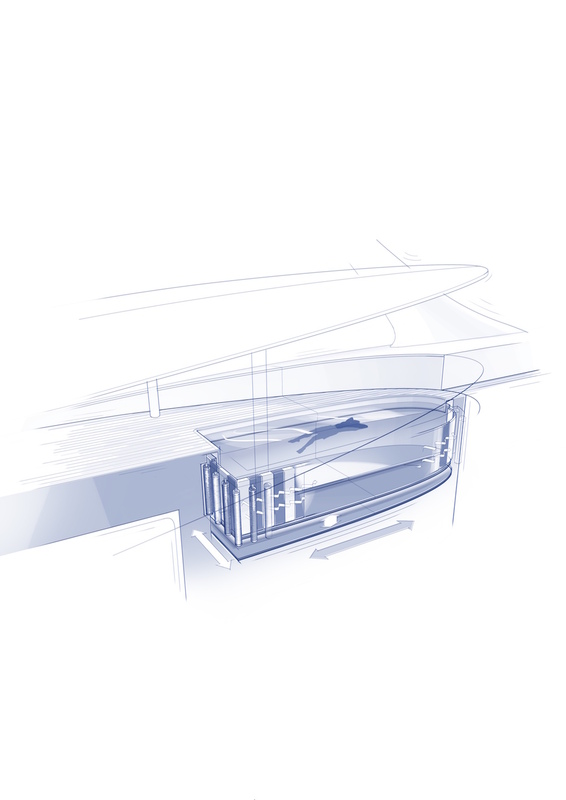 In a similar vein of smart thinking, the aft end of the yacht has been designed with louvres which can be closed to protect against the elements while Choice is underway. 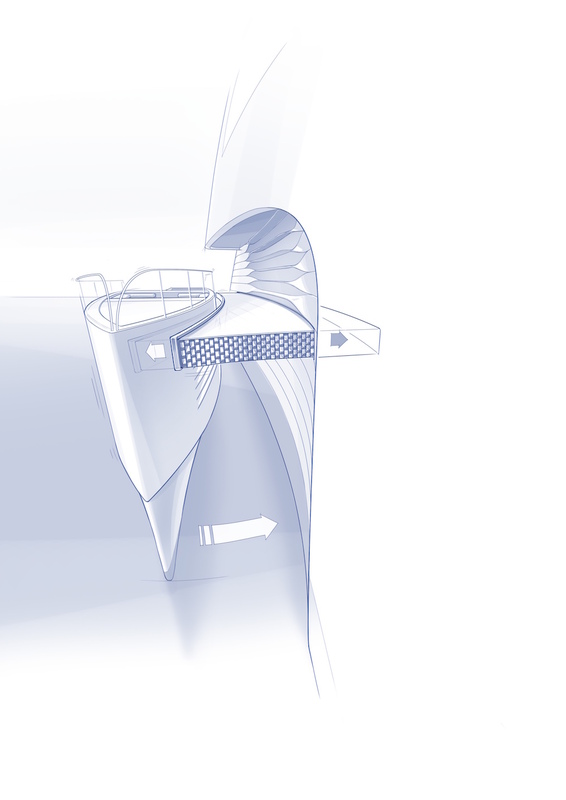 This mechanism works with programmable material, with the Feadship designers opting for teak on this concept because of the nautical look it engenders. An additional layer is added to the louvres so that the shape can be controlled manually or autonomously via an electric current. 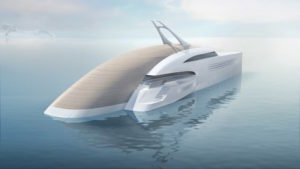 Choice also sees the debut of a new revolution in autonomous control which has been designed to relieve crew and let yachts run on their own. 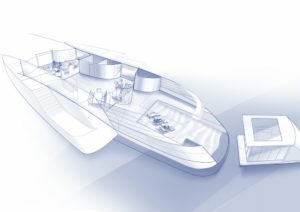 The Feadship Independent Control System (FICS) uses sensor technology and real-time online data such as wave radar, weather forecasts and traffic information to gather information on the surrounding conditions. Intelligent control processes deploy this data to determine how the yacht should best respond. 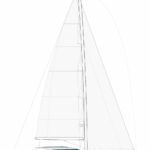 Examples include defining the most suitable route to sail, optimising comfort at anchor, finding the best location to detach the tenders, advice on using the beach club and pool, and notifying when it is safe to take off with the drone. “We haven’t quite reached the autopilot stage yet, but the way this solution communicates with the environment is optimised to the highest degree,” concludes Bakker. “FICS supports captains and frees up their time for other things that make the guests’ stay on a Headship even more pleasant. 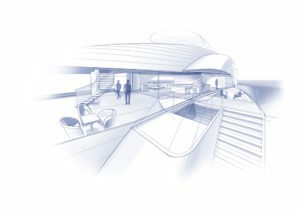 It has also allowed us to dispense with the conventional wheelhouse: as an autonomous yacht, Choice only requires a bridge lounge with some minor technical buttons for steering. As is often the case with a Feadship Future Concept, one good thing frequently leads to another.